Apple is having a busy week. From yesterday, the California company has become the center of controversy - also in social networks - for the bad service that is giving Apple Maps (the new map service that Apple offers for iOS 6). If you still do not know what the film, telling you that the search abbreviate the location of the Alhambra in Granada, users were sent to the city Granollers, just located in Catalonia. In any case, pending resolution of this first debate, the Swiss rail service has decided to forge its own controversy. We explain. As reported by El País, the Swiss railway system - also called Schweizerische Bundesbahnen, just sue Apple for copying the design of your watch. The Swiss newspaper Blick has been commissioned to publicize the case, indicating that the intention of the Swiss is to hold talks with Apple for compensation. It's no joke. 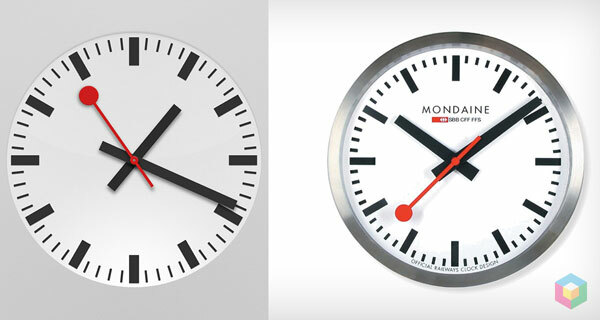 The design of the Swiss railway clock service is registered and it seems that the owners are willing to fight for it. 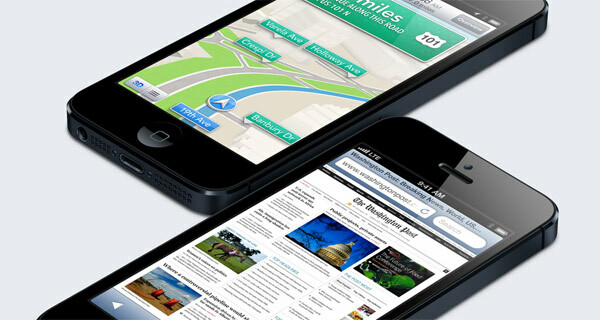 This has been shown in different media, so a new war front for Apple opens. There's nothing to it: the clock shown in the image above (on the right) that looks identical to the new operating system iOS 6, which is the one you see on the left. The watch in question appears on the iPhone or iPad that have been upgraded to the new operating system, but also on the iPhone 5 that have just been launched to the market and of course, come equipped with iOS 6 series. 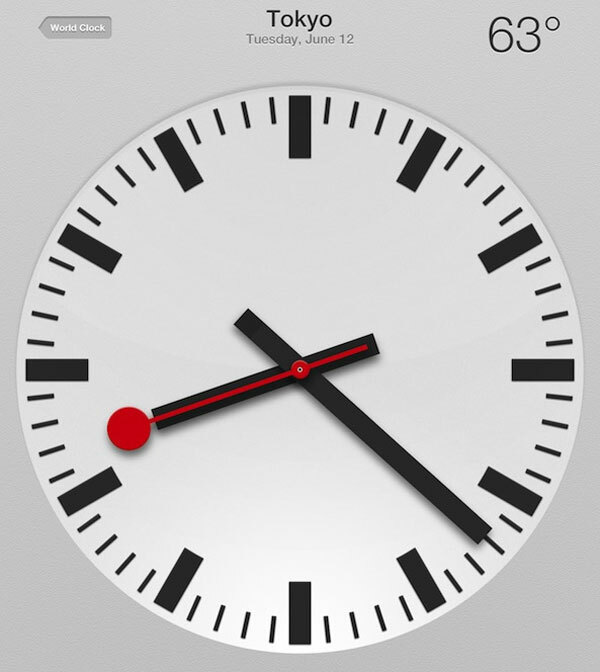 The clock function on Apple devices is clear: give users the time in a unique way, beyond the classic digital clock. In any case, it should be noted that the clock of the controversy was designed in 1944 by one Hans Hilfikeren. In fact, the experts say that in that year the patent was registered, so it seems obvious that Apple should have taken into account the situation and ask for authorization to own the license to integrate it into their operating system after a system fortunately or unfortunately (or rather fortunately) usually go around the world: the story of the clock could not go unnoticed in the eyes of the Swiss or any other expert on watches. At present, the company is holding Mondaine license allowing it to market watches, rather Hilfikeren watch replicas. That's why André Bernheim, Mondaine own, has already indicated that it will take legal action for Apple to pay what he owes. Meanwhile, the Cupertino firm has remained oblivious to the controversy. So much so that by now has refused to comment, something which, moreover, is most common in this company. In fact, not even the applicants themselves have received a response from the team of Tim Cook. What is Apple thinking? Is he too busy filing lawsuits over intellectual property of its products?